Dr. David Erwin is a native of Coshocton and graduated from Coshocton High School in 1969. He completed his undergraduate work in 1974 at The Ohio State University. He received a B.S. degree in Zoology. In 1978 he received his Doctor of Optometry degree at The Ohio State University College of Optometry. He is a college member of EYE professional fraternity, the Ohio Optometric Association, and the American Optometric Association. He started his solo practice in Coshocton in December of 1978 and has resided in Coshocton since 1978 with his wife, Diane. He has two daughters, Danielle and Elise. 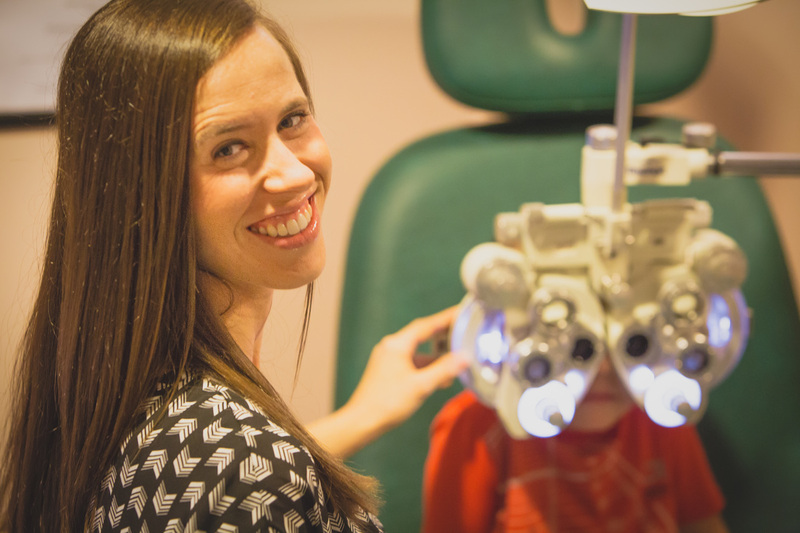 Danielle is a graduate from The OSU College of Optometry and currently works at the family business. Elise graduated from the University of Cincinnati in 2011 and works at Express home office in Columbus. Dr. David is active in the Coshocton Rotary Club and was president of the club in 1995-1996. He is a park commissioner for the Park District as well. Dr. David has been active in area school screenings, the AOA sponsored InfantSEE program, and the OOA sponsored Real Eyes program. Dr. Danielle Erwin Ellis is also a native of Coshocton and graduated from Coshocton High School in 2003. She completed her undergraduate work in 2007 at the University of Cincinnati with a degree in Health Sciences. In 2011 she graduated from The Ohio State University College of Optometry. In the summer of 2011, she joined the family business at Family Eye Care. Dr. Danielle is married to Kurt Ellis, and they have two young children. She is a member of the Ohio Optometric Association and the American Optometric Association. Dr. Danielle is active in the Coshocton Rotary Club, and she is a 2013 Leadership Coshocton County graduate. She serves on the Friends of the Parks board. She volunteers at the Hope Clinic, and helps out with her church's kid's program. Dr. Danielle has also been active in area school screenings, the AOA sponsored InfantSEE program, and the OOA sponsored Real Eyes program.